Your Vision. Our Process. A Better Experience. Nave Newell proactively manages every aspect of your land development project to help you navigate the process and achieve your vision. No matter how big or small, no matter how complex or simple, no matter how tight the timeline – your project is well-managed. Our expertise includes teams of civil engineers, land planners, surveyors, and landscape architects who embrace the Nave Newell Way to bring you a better experience. Focusing on solutions with a calm sense of urgency. Our relationship and commitment to your success doesn’t end when approvals are secured. We stay involved and work with your team to identify what it takes to get your project through construction and beyond. Achieve your vision with Nave Newell. In his latest podcast with Julie Ann Sullivan, Greg talks about the importance of culture and fun in the workplace and how it has evolved at Nave Newell. If you want to better understand the Nave Newell Way and what's it's like to work here, you should listen. In this interview with Julie Ann Sullivan, listen to Greg Newell discuss the evolution of the Nave Newell Way and how the Fundamentals can impact everything in your work and home life in a positive way. Initially influenced by David Friedman’s book, Fundamentally Different, the Fundamentals reflect our values and have quickly become an integral part of our unique culture. 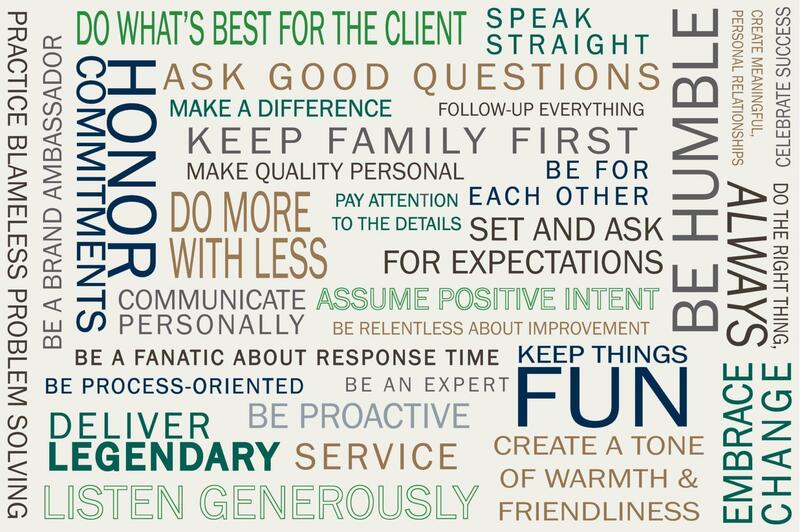 They influence our day-to-day interactions with clients and each other. Every week we focus on a different fundamental and employees share their stories and examples during our Monday morning meetings. We strongly believe that our success is a two-way street and that giving back is an important part of our firm’s development. Greg Newell, Founder and President of Nave Newell, leads by example in not only his work, but also his giving back to the community. As a result, Nave Newell has established a program in which we actively seek out service opportunities to MAKE A DIFFERENCE in the local community. Examples include blood drives, bake sales, goods and monetary collections, and our annual Alex’s Lemonade Stand in conjunction with Take Our Sons and Daughters to Work Day. We are amazed at what we can accomplish together and proud of the efforts that our employees and their families have put forth over the years. 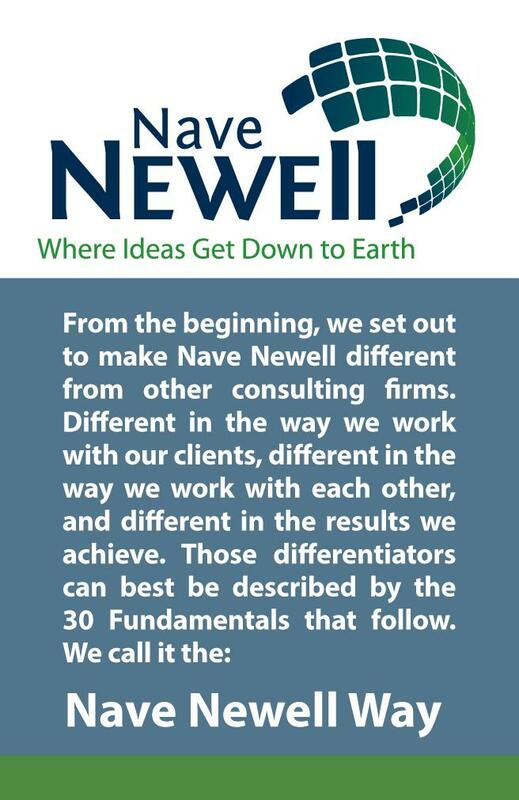 Nave Newell Way Fundamental #28 – MAKE A DIFFERENCE – reminds us that every little bit matters. You can and do make a difference.